Levitt Ophthalmology (Tampa) - Book Appointment Online! I look forward to providing you and your family with exceptional state-of-the-art eye care. We provide a broad range of services from fitting glasses to advanced surgical techniques, tailored to fit your particular needs. Our enthusiastic and friendly staff looks forward to the opportunity to assist you in seeing your best! I thank you, in advance, for trusting me to be your eye doctor. We hope to see you in the office soon and we look forward to taking care of your every eye care need! Everything was great except the wait time. I wasn't extremely upset since I was on vacation. 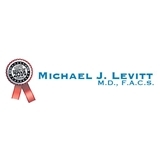 The staff was very friendly and attentive, and Dr. Levitt was fantastic.